Neil Grant, founding member and chairman of the South African Sommelier Association (SASA) and owner of three restaurants – Burrata, Bocca and Open Door – shares his insights and tips on how to effectively “Approach Restaurants with Style”. 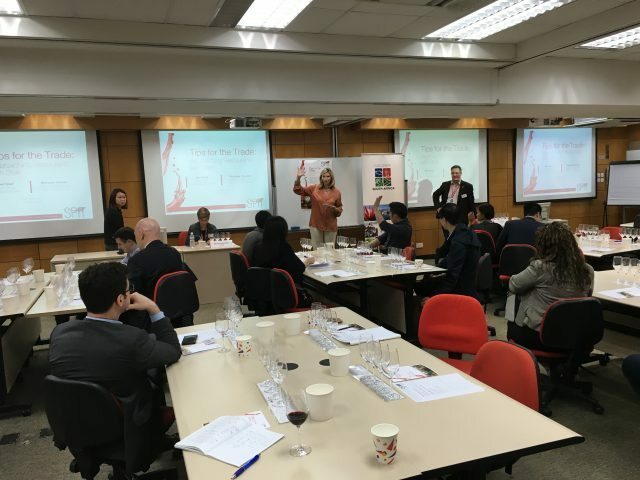 His talk featured at the latest WineSPIT – a series of professional workshops launched by Debra Meiburg MW aiming to tackle up-to-date industry issues in Hong Kong and provide most-needed skills. As for another big concern raised by the audience – the inevitable listing fee – Neil admitted that “pay to play” was something unfortunate and should be removed, which is what SASA had done already. 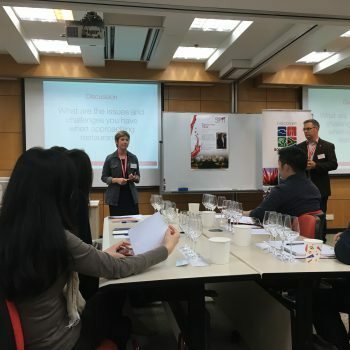 “The mindset should be to become the “business partner” of the restaurant and figure out how to help them make money.” He suggested numerous ways to get on the most competitive “by-the-glass” list such as making restaurant-only special labels (even for the same wine) that cannot be found in retail shops or supermarkets to allow for higher margin, or creating a special “sommelier selection” to make extra selling point and also create prestige for the sommelier. “But no matter what strategy, you have to show your constant support and back it up in the long run.” he said. All in all, Neil reiterated that wine was all about fun. “Come up with creative solutions – flights, tasting menus, games or lucky-draws.” That’s how you get success when approaching restaurants.